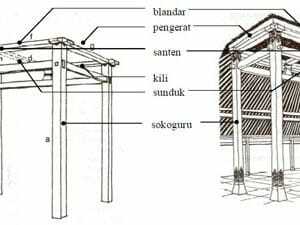 When it comes to the real history of Joglos, or Javanese traditional houses, experts are still thinking about determining the primary existence of these buildings. Most of the information gathered today, has been word-of-mouth and passed down from generation to generation. 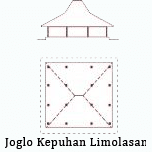 One hypothesis, says that Joglos could have been built, first with stone materials, or at least partly. Many still remain in the dark and many questions remain unanswered. 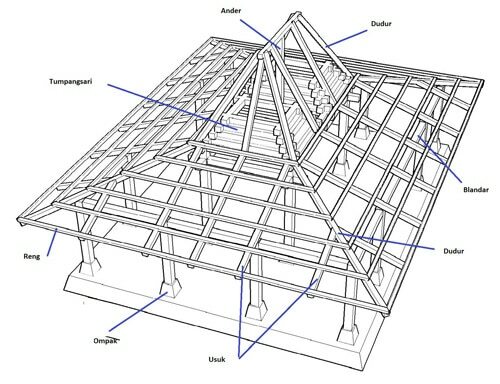 Some experts have proved that “Joglo” construction techniques are directly inspired by their counterparts in the stone temple. Most certainly, the temples of the pre-8th century region, had an influence on the architecture later. Therefore, some more typical forms of design, must have existed … but also remains a mystery. As being a lightweight, easily shaped and easily available material, it had a great advantage over the stone and, therefore, an obvious quality choice.